First of all- we have housekeeping issues. 1) Yesterday my domain went down. Cue panic. It's being fixed but won't be back up for seven days. Dear Lord let it be fixed before next Wednesday. Thankfully I'm able to publish from blogger, but if you click on a dead link, please know it will be better next week. 2) If you want live updates on my progress, I've been doing daily Instagram stories. It has been so fun hearing from some of you via Insta stories! You really get a behind the scene look at the process but the videos disappear within 24 hours. Quick refresher: this is where we started. 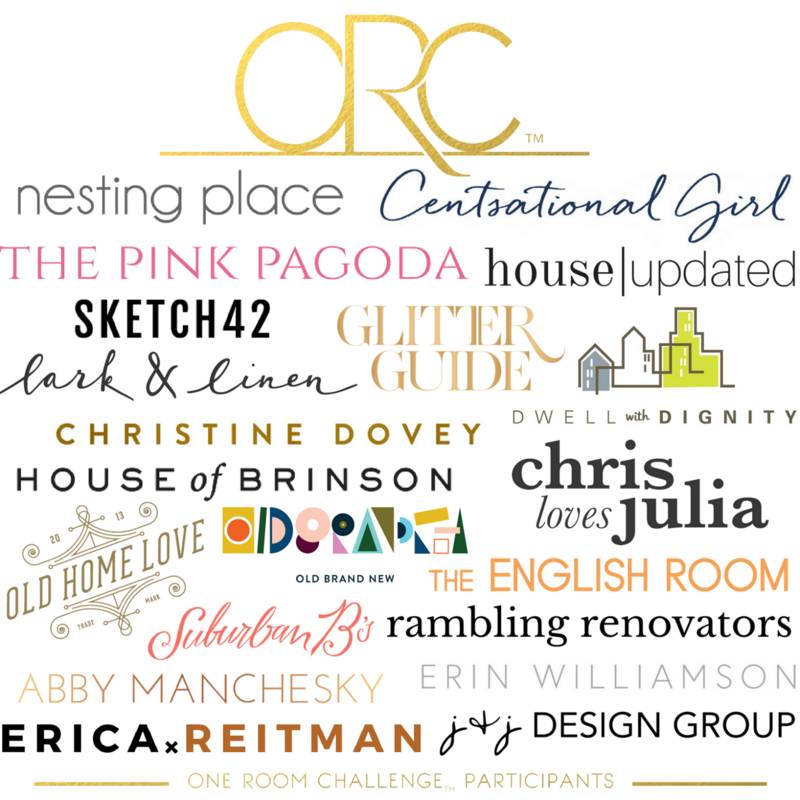 If you missed Week One, click here. -remove the bulkhead and hope for the best. If you didn't notice the ceiling coming down to the cupbards, scroll back up and take a good look at the intrusive ceiling. -remove all the upper cabinets to make more counter space and overall openness. Add white floating shelves. Why green? Don't you want to be more timeless with your kitchen? 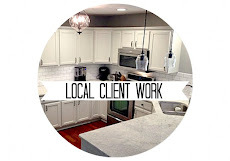 Yes, you want to keep the fixed elements timeless, which is why I'm keeping the backsplash & counters super simple. But I love green. I know green cabinets aren't ground breaking. 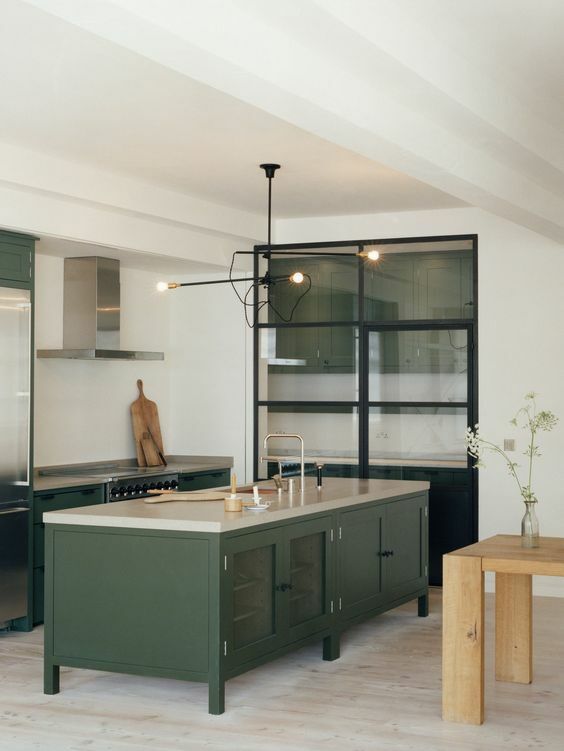 I can think of three other designers off the top of my head with green kitchens. But I can't choose my colors based on simply trying to be different. You have to go with what you love. And I've wanted green cabinets for 3-4 years now, so I'm going for it. I love green! 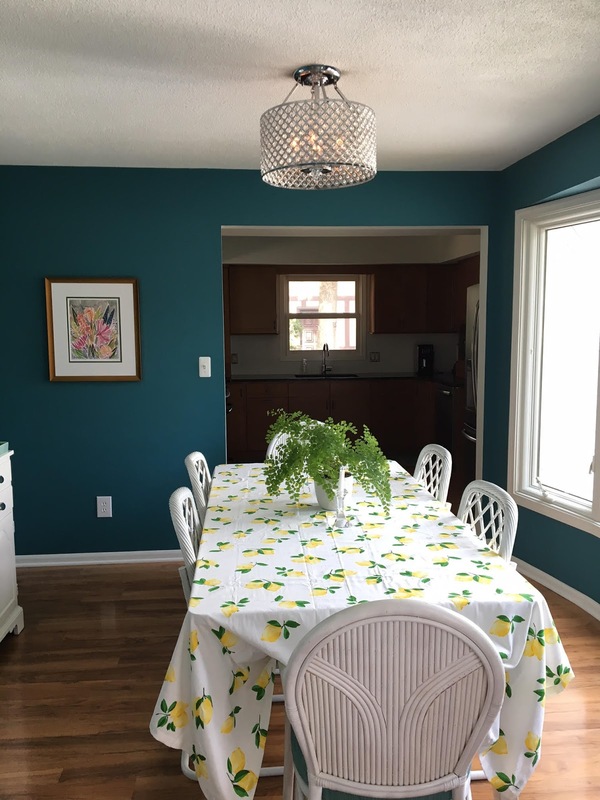 One of my goals for the kitchen was to tie it into the rest of home and there is green everywhere. Green...blue...and pink. Also, I'm not designing this kitchen around resale. We plan to stay here for a long time and simply make it our own. The color of the lower cabinets will be Steamed Spinach. 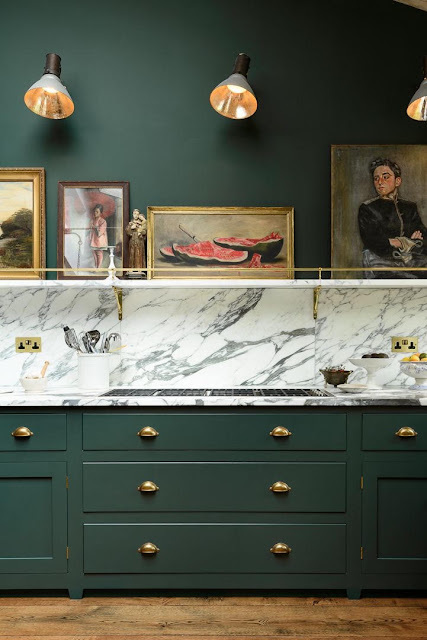 I couldn't find any examples of this color cabinet on Pinterest but Google pulled this sweet kitchen for me. 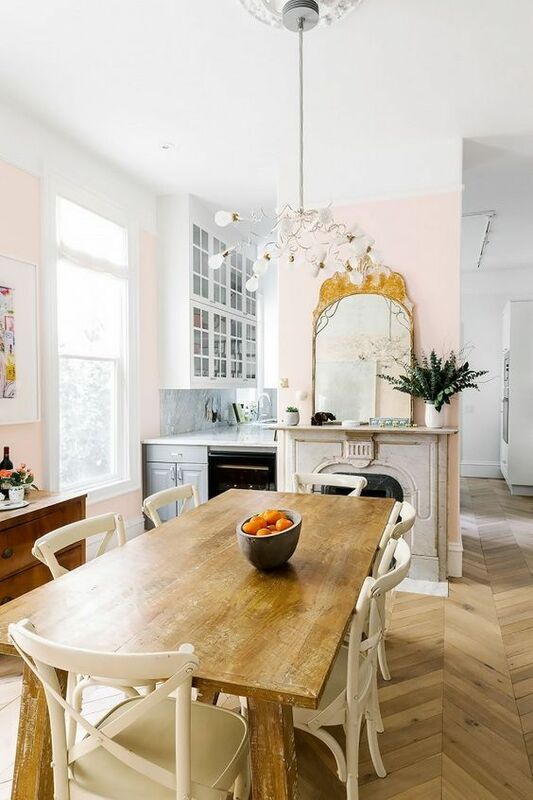 This was Nate Berkus' kitchen at one time when he lived in Chicago. Yes, please. 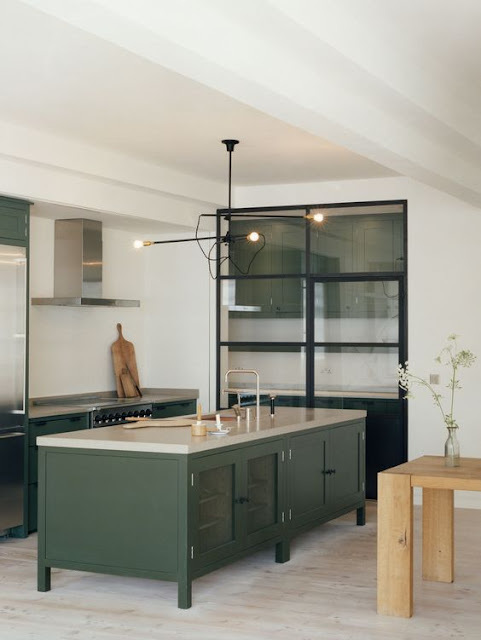 Here's a few more of my favorite green and white kitchens as inspiration. As you can see we have a long way to go. 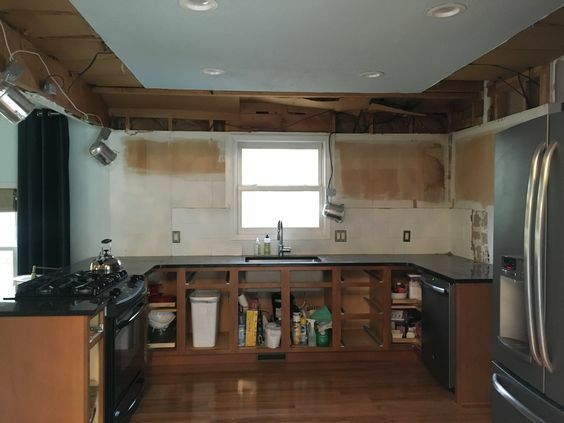 This kitchen would not inspire anyone. If you're doing all this work, why don't you make the window bigger? A larger window would be great, but honestly, we are looking at the side of our neighbor's house. Plus, I need every inch of the symmetrical wall space for shelving. 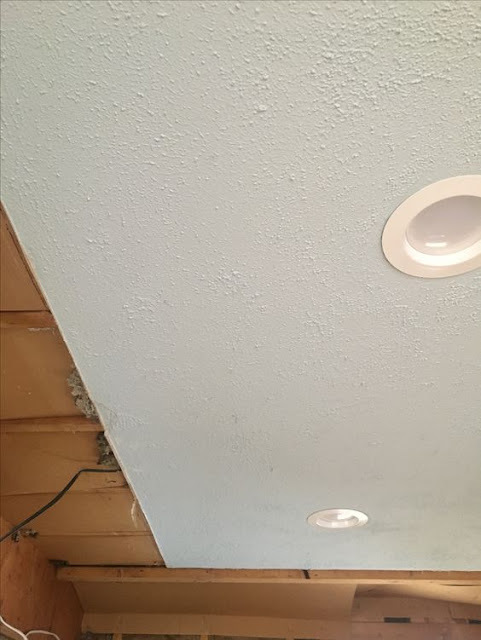 What's happening with the ceiling? 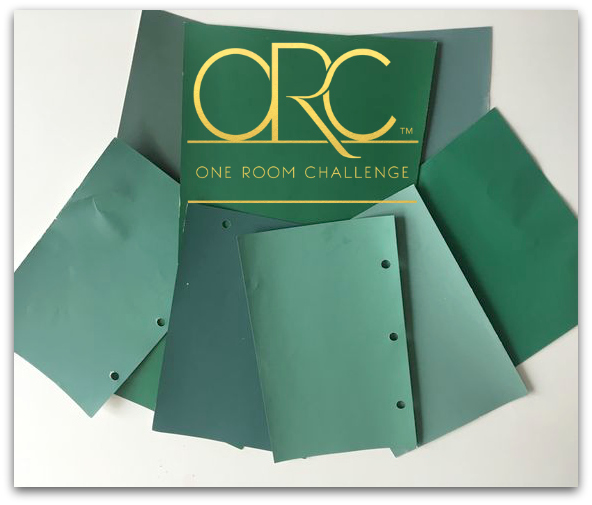 We have textured ceilings in every room of the house. Thank you '70s! But if I'm already hiring a drywaller then I'm having him scrape off the textured ceilings in the kitchen, dining room, and pantry hallway. 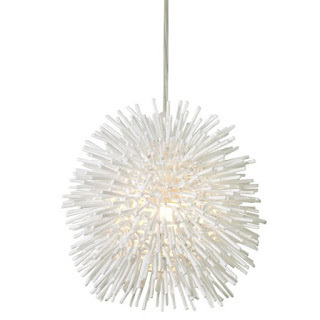 We are also swapping out the older lights in the entry way and pantry hall with these amazing Varaluz Sea Urchin pendants in white. 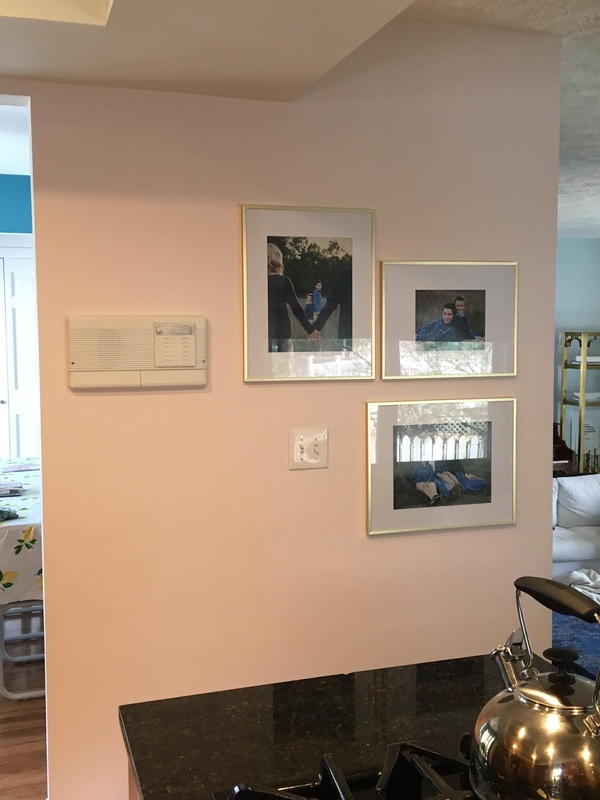 We will shorten the cord so that it's close to the ceiling. But I'm excited for the shadows that they will shine out. 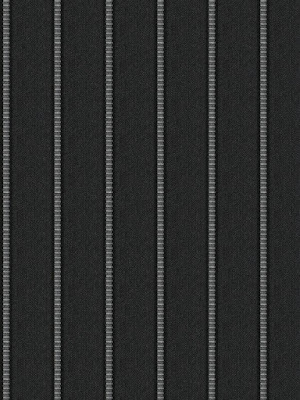 Don't dismiss hallway lighting. My favorite painter sent me this photo earlier in the week and it brought me so much joy. All my cabinet doors! GAH! I can hardly stand it. 2) All the wiring needs to be moved so that the drywall guy can go straight up with the walls. Thankfully the electrician is on it. 3) There was a septic vent pipe in the bulkhead that one plumber said would be a small fortune to move. Nope. Thankfully I got a few more opinions and the pipe was moved for less than $200. Electrician is coming Friday and hopefully we'll have a ceiling and walls early next week! Tile install is on the calendar. And the painter needs a full week to paint the lower cabinets because of drying time. It's all very down to the wire but I'm hopeful! My biggest fear with this project want that I wouldn't be able to find tradesman to do the work. Everyone is so busy right now. But it seems to be falling together! --goes to say prayers and knock on wood. 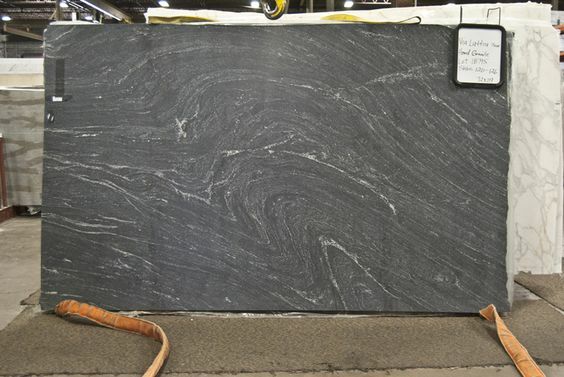 I fell hard for this granite. It's honed, and I'm crazy about the movement & the white. I believe it's called Ocean Black. I'm not sure it will fit in the timeline, so cross your fingers. If so, I'll add a waterfall edge. If you're following me on Instagram you saw these vintage lucite ribbon pendants that I found at my favorite antique store in town. I couldn't believe my luck in that they had two, perfectly scaled pendants. 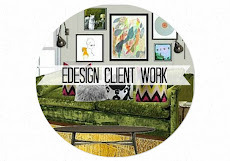 I recommend adding a vintage piece to every room otherwise it can fall flat. Of course your vintage doesn't need to be lucite, but I think they will spice up our kitchen once installed. Our kitchen walls are already Pink Bliss by Benjamin Moore. They have been since 2014. (You can read about that change here.) It's a subtle blush color. Pink and green runs through our home--probably because we live in a state where the weather is gray on most days. I need color! 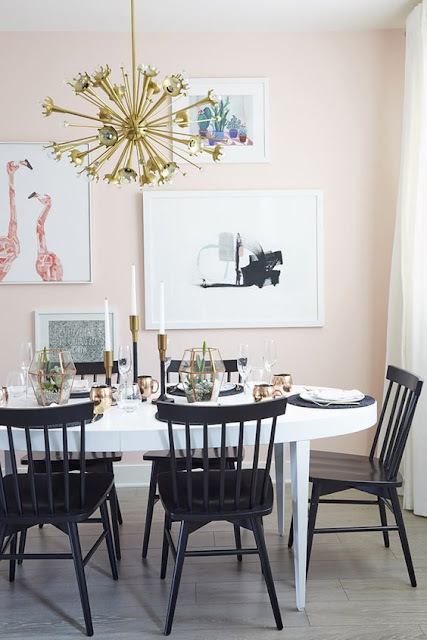 I was deciding what color to paint our dining room walls and in the end I went with Pink Bliss. It's calm, but an incredibly subtle pink. Some people don't even notice that we have pink walls in our kitchen. 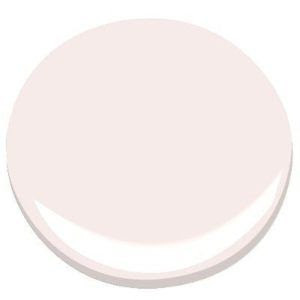 I think the blush will look so fresh against the green cabinets as a backdrop. Here's the tentative plan for the dining room. The wall color may change in the end, and I'm still deciding on the rug, but overall I want a lighter, more relaxed/organic and less glam feel. 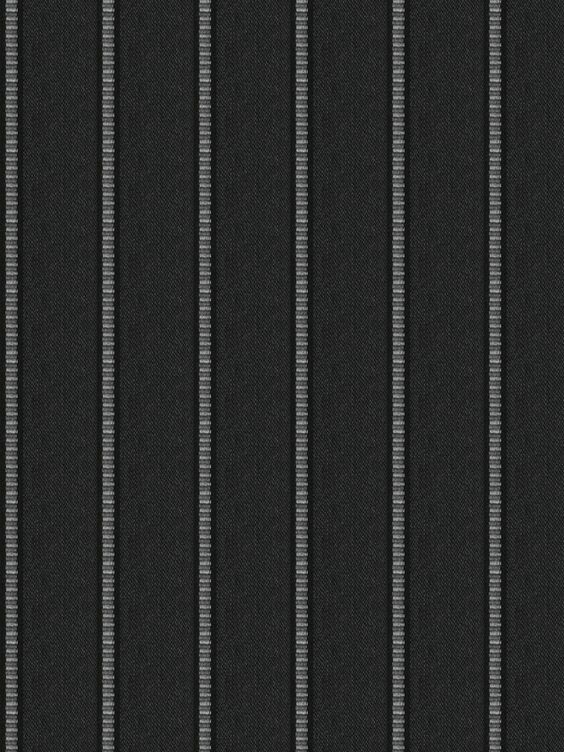 I'm hoping to snag this Pier Stripe Black Rock Sunbrella fabric from Fabricut & upholster the chair cushions. Sunbrella means durable, and that's what I need with two boys. Plus, black will keep the blush walls for feeling overly feminine. I'm between two different lights. 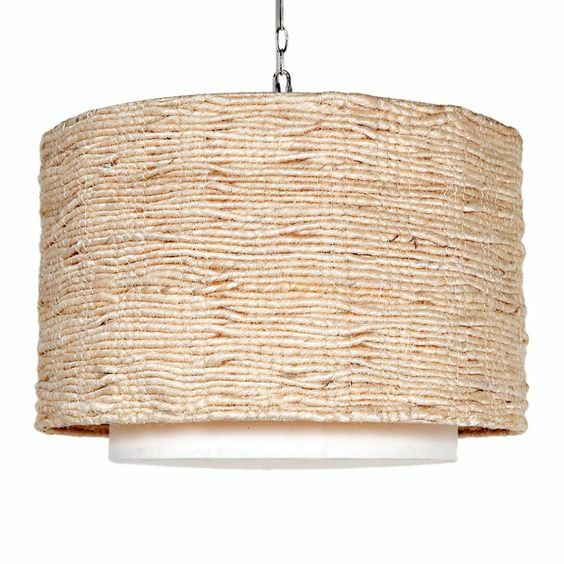 This Made Goods Camille 60's Gesso Rod Chandelier reminds me of the beach and I love the texture. It's also quite large and I love the scale. 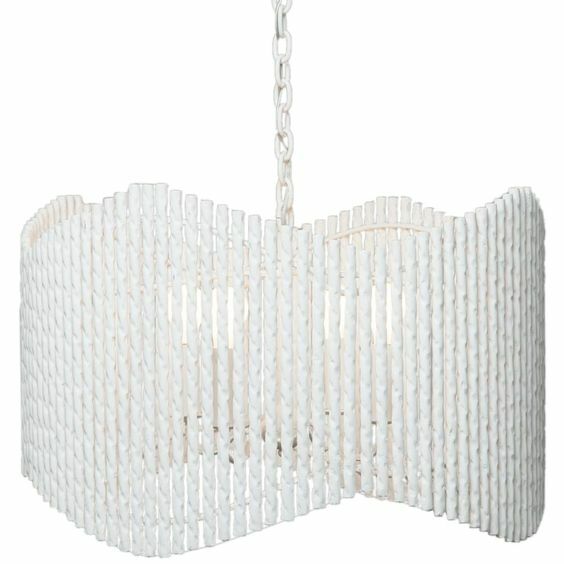 Or this Amani Drum Chandelier that has so much texture but a touch of white at the bottom. I think either is a great fit. You? Both are from Candelabra, which is a sponsor of the ORC. We've had the same table for 15 years and it has been through it. Especially with two kids. I selected it originally because I was in a French Country stage but my taste has evolved with our current home. 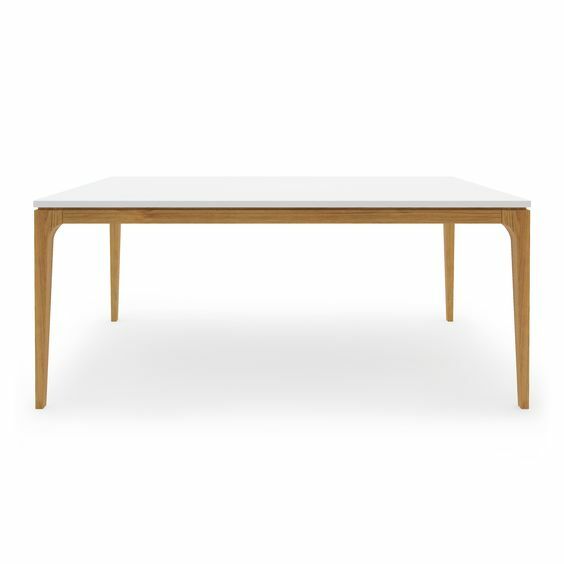 The Lars Table from allModern has the white I'm always craving, and gorgeous legs. Always important in the dining room. 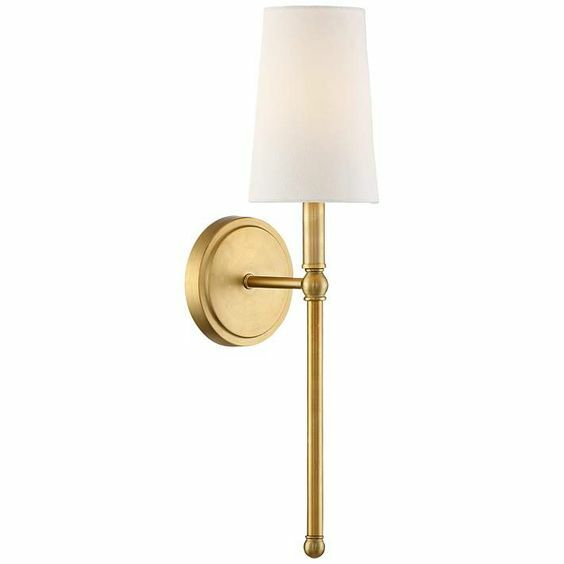 The Greta Sconce from Lamps Plus in the dining room are much longer than my current sconces at 21". Very excited to get my hands on these! So that's week two! Many decisions have been made, dates have been set with the trades, and I'm very excited. 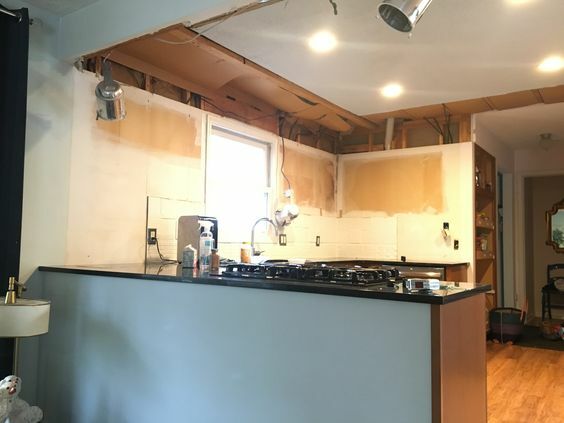 I don't think I'll have a gorgeous green kitchen by week 3 but I may have a ceiling! 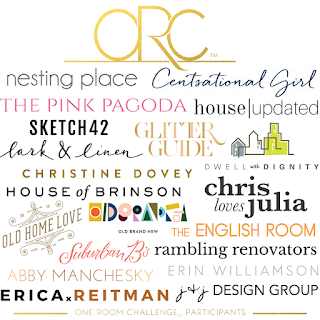 Huge thank you to Linda and the One Room Challenge. I wouldn't have been pushed to make these changes without the ORC. Now I can't wait. Dying over the picture your painter sent! SO pretty! What a workout, but this is going to be SOOO good, Abby! Excited for you! 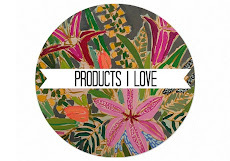 Love all your selections Abby. Those vintage pendants - what a find! The pink + green is going to be fabulous. I'M SO EXCITED!!!! 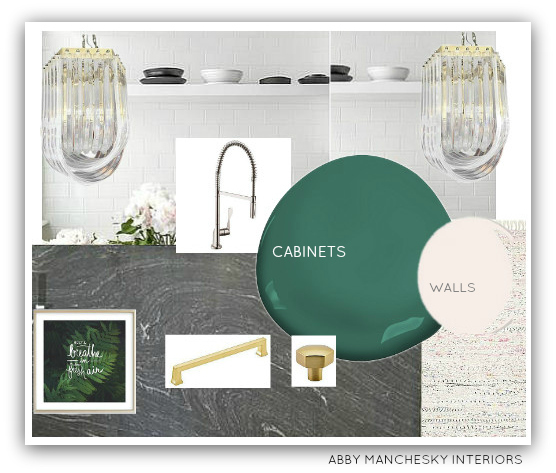 Abby I love all your choices and I cannot wait to see those green cabinets!! Sounds like you totally lucked out with not too much plumbing, electrical, etc being hidden in those soffits! And those vintage lucite pendants- holy moly they will be stunning!! Oh wow, love all your choices! 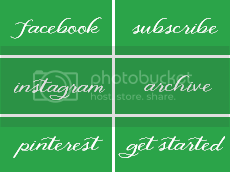 And yes, go for the green without a doubt - if you love it, do it. Can't wait to see more!! 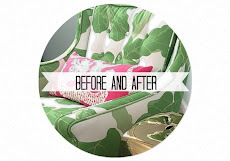 So excited about this transformation! I love the plan. 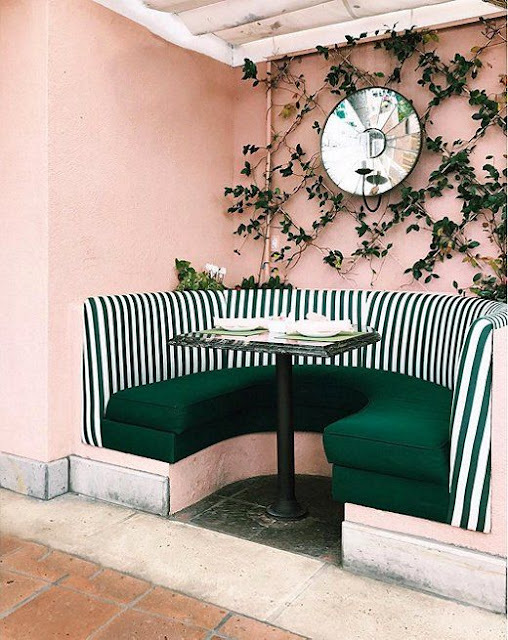 Pink + green + that vintage light? Perfection. It's coming along!! I'm so excited for you and love seeing the transformation! The green is so gorgeous Abby!! Love the direction you're headed, it's going to be beautiful!! I am so excited.I have glossy green cabinets (BM-dragonfly, AF-510_ and I lurve them! Just the lowers, though. Looking forward to witnessing the transformation. I am dying over your choices. I really can't wait to see the pink, green and black. That fabric will be amazing with the soft walls. 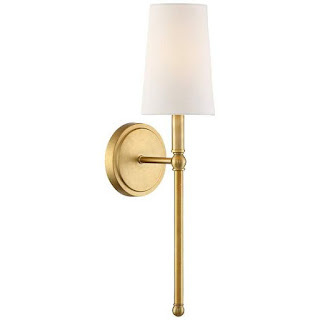 Love both light fixtures. Thank you! Very excited to get it all put together. 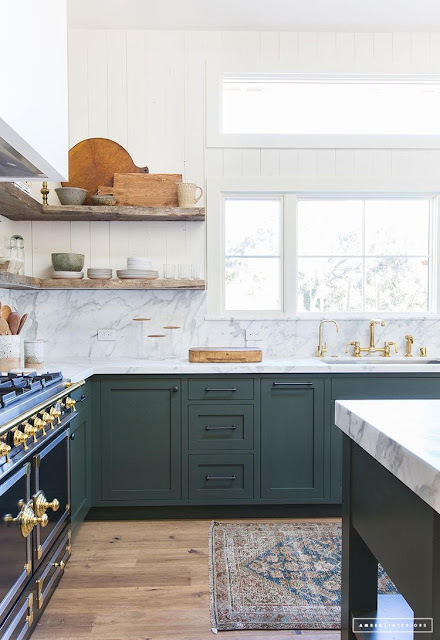 I'm obsessed with your green cabinets, they will be amazing! 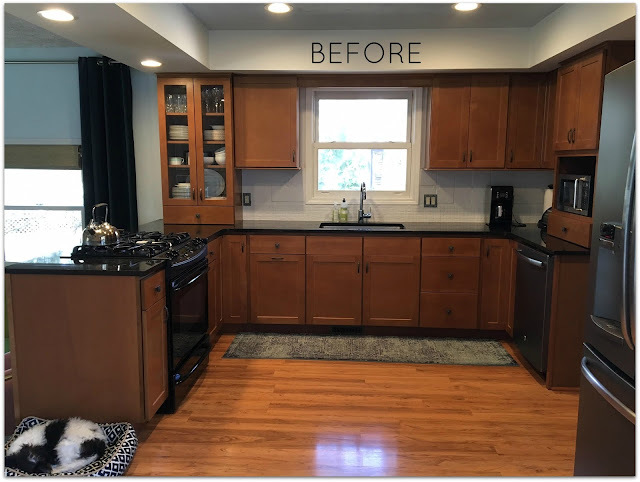 The space already looks brighter with the cabinets removed, and your granite choice is so swoonworthy! 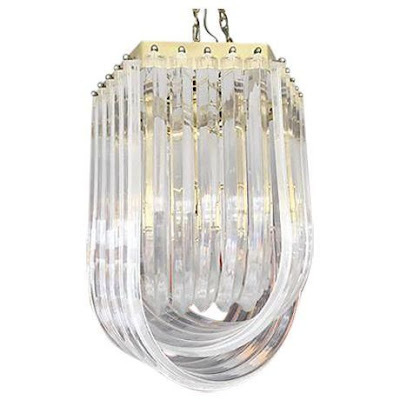 Those lucite ribbon pendants are everything! Good luck and I can't wait to see what happens with this space. 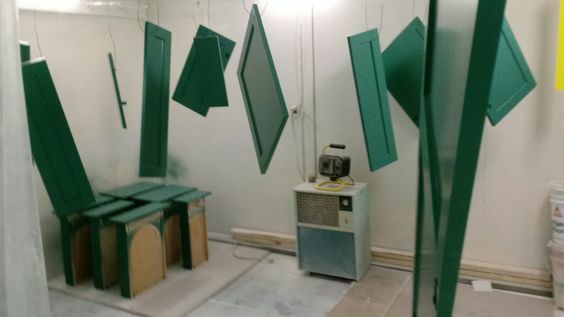 Green cabinets!! 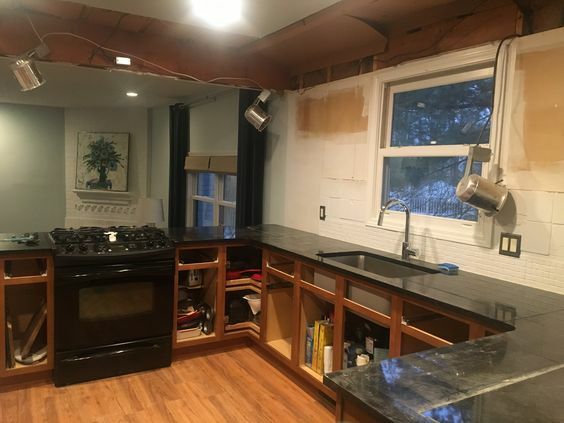 This kitchen is going to be AMAZING! It's gonna be amazing! You will love not having those furr downs. 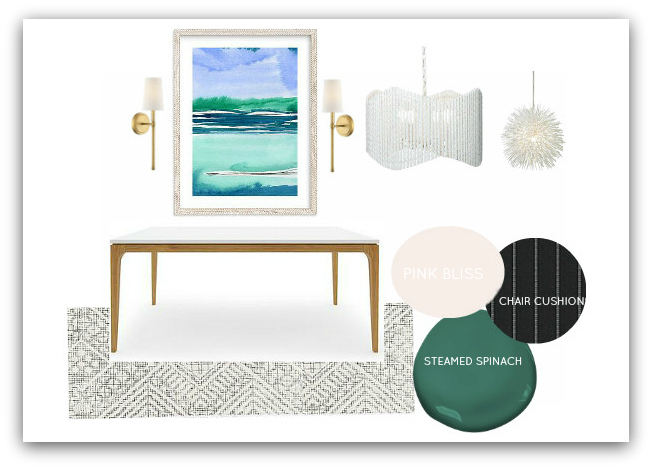 The green is perfect for you! Absolutely AMAZING!! What a transformation! Congrats on a beautiful project!